Though amber has been used as a medicine and in amber jewelry for over 10,000 years it lost popularity in the 20th century.Until demand picked up dramatically in 1993. The reason of course was Jurassic Park in which it plays a prominent role. 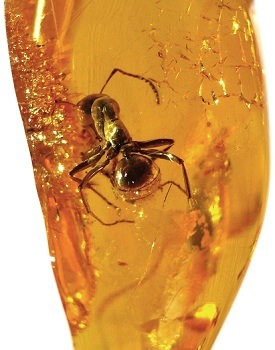 Dinosaur DNA was extracted from a mosquito trapped in amber and was used to bring them back to life. Amber has always been a popular gemstone and with good reason. The warm amber color is a great way to complement silver jewelry. Because of the large quantities that can be found all over the world it is one of the cheaper gemstones as well. An added bonus is the inclusions that give us a peek at what life looked like millions of years ago. 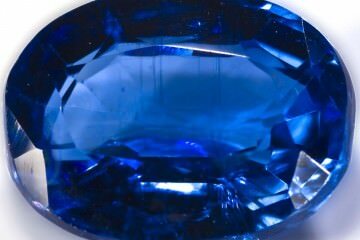 One of the few gemstones that is not classified as a mineral. Instead it is classified as an organic gemstone. It is formed by fossilized tree resin with an age of 10 to over 300 million years. Its color usually is yellow or orange, though there are other more rare colors. Its most spectacular feature is that this gemstone can contain plant and animal material. Because this material is usually almost perfectly conserved it can provide us with a lot of knowledge about that time period. 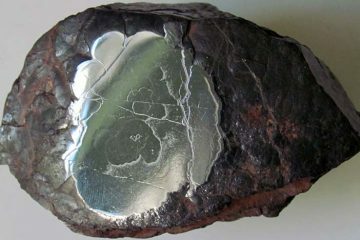 Particularly because most of these inclusions are too small to have been fossilized in other ways. This is why amber is at times called nature’s time capsule. Amber can be found all over the world, but the most important deposits are found around the Baltic Sea. In fact an estimated 90% of worldwide amber reserves are located in the Kaliningrad Oblast in Russia. The highest quality amber is found here, called Baltic amber or sometimes true amber. Another source for high quality amber is the Dominican Republic, Myanmar and Mexico. Amber is mined both in open-pit mining and underground mining. Pieces are also worked up from the seabed by waves, particularly in the storm season, and deposited on the shore. Some people take a more active approach and dredge or dive for it. Amber that is retrieved from the sea usually has an outer layer that is a mix of salt, dirt and resin. This is usually cleaned of by sanding or in rotating barrels with a mixture of water and sand. Be very careful when cleaning amber jewelry. Use lukewarm water and soap, just rinse it slightly and dry it using a soft cloth. Do not use hot water or let it come in contact with high temperatures like in your oven. The stone might soften and scratch more easily. On the subject of scratching, because it is a fossilized resin its hardness is below most other gemstones. Shattering amber is very hard to do but scratching unfortunately is not. I would advise buying an amber necklace or earrings, these are far less likely to come in contact with hard objects unlike a ring. Amber should not be used in an ultrasonic jewelry cleaner or a jewelry steam cleaner, the porosity and relatively low hardness of this organic gemstone means that it cannot handle the sonic waves and heated water. The most important factor for the price of amber is inclusions. An intact and highly visible insect or another small animal will increase the price by a large amount. For example a natural amber gemstone might be selling for several hundred dollars. While the same quality gemstone with a tiny lizard inclusion could be selling for thousands of dollars or even higher than that depending on the rarity of the species. Certain dealers have been known to heat amber and add inclusions of their own to increase their value. Try to identify the species of the inclusion, if it is a modern animal you can be sure its inclusion was faked. A common house fly certainly was not around over 10 million years ago! Amber is a fairly cheap gemstone, but still there are some imitations on the market. Most of these can be easily identified by two simple tests. One is adding salt to water until it is saturated. Almost all natural amber floats on salted water while most simulants will sink. The other method is using a hot needle or other instrument on the gemstone. Natural amber will smell like resin while simulants will have a plastic smell. I would not use this method on a finished stone though, the owner will not be happy with you! Another tactic to increase prices is using two small stones and fusing them. Usually this is done by heating the stones and pressing them together. 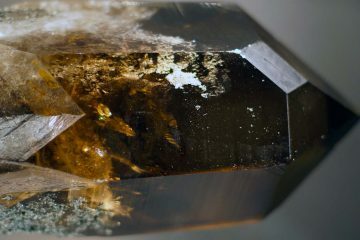 The result is called amberoid, though often it is sold as a natural gemstone. This process can only be used on a few gemstones, including turquoise. 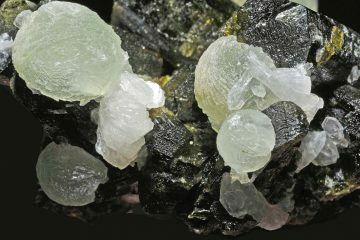 The easiest way to avoid dealing with these types of simulants is to buy amber at a jewelry store with a good reputation. Several options can be found in the Guide to Buying Gemstones Online.